May be either Wacker or Whitman brand. 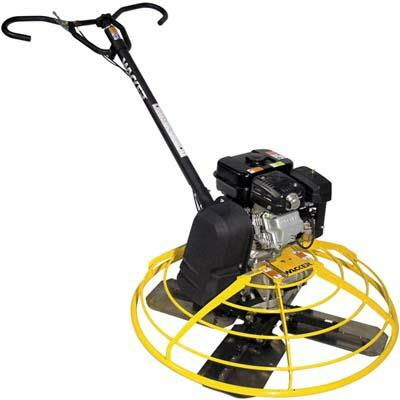 Dynamically balanced 36" concrete finisher with optimum weight distribution, 30 degree blade pitch, and guard ring featuring tubular framing for easy cleaning and maintenance. * Please call us for any questions on our power trowel 36 inch rentals in Fort Madison IA, serving Southeastern Iowa and Western Illinois.